Handyman, Asheville, NC | Off Duty Fireman Construction Inc.
'); // });Handyman, Asheville, NC | Off Duty Fireman Construction Inc. Choosing a general contractor for handyman services may seem odd, but we’re confident you’ll see why calling us makes a lot of sense. 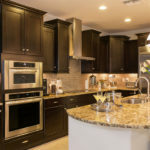 One of the things that we think most surprises people in the Asheville, North Carolina area is the fact that although we are a general contractor capable of large-scale residential and commercial projects, we are also the best ones to call when you need a handyman. At Off Duty Fireman Construction Inc., we want to be the company you turn to for everything from the small projects to the large ones. If you have a list of items at your home or business that you simply haven’t found the time to handle yourself, call for our handyman services to get them done for you. One of the reasons why most general contractors don’t offer handyman services is because they rely heavily on subcontractors, which leaves insufficient profit for them when small jobs are involved. Since we have an in-house crew of tradesmen who have the knowledge and ability to perform almost every trade, we can provide handyman services at a reasonable cost to you. So, what is it that you need? There’s a good chance we can get everything off your to-do list, including house painting, junk removal, deck repair, home repair, and carpentry. You could say that we are a jack-of-all-trades when it comes to providing construction and handyman services, so never hesitate to contact us to find out if what you have in mind is within the scope of our capabilities. Since starting in 2001, we have been dedicated to customer satisfaction and providing personal service, two things that are often lacking in the construction industry. We believe our determination to do as much in-house as possible is the main reason why so many turn to us for all their residential and commercial projects. From being your best option for a handyman to our other services, including disaster restoration, remodeling, excavation, and more, count on us for the highest level of quality and professionalism.